When property owners in the area need high-quality materials, they trust the leading Menomonee Falls building supply company, Lakeland Building Supply. Since 1976 we’ve stocked the most extensive assortment of Menomonee Falls building supplies, offering everything from wholesale cabinets to siding materials. Whether you’re upgrading your home or renovating a commercial property, count on the experienced professionals at Lakeland Building Supply to help you find the materials you need. Instantly update the appearance of your property with new or replacement windows. Visit our showroom to view our comprehensive selection of energy efficient replacement windows. No matter what architectural style your property is, our helpful associates will help you find the styles, sizes, and materials that make the most sense for your needs. 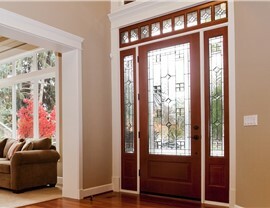 Doors are more than an entry and exit, they also help increase energy efficiency and security. Our exclusive range of entry doors includes selections from trusted brands like Masonite, Simpson, Therma-Tru, and Sierra Pacific. Give your property an upgrade in beauty, value, and security with one of our high-performance doors. 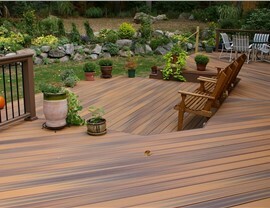 When selecting decking materials, you want products that are crafted for maximum durability and beauty. Our deck boards and deck rails create stunning outdoor masterpieces, and as an added bonus, the materials are low-maintenance so you can enjoy your deck for years to come without constantly refinishing it! Whether you know exactly what you need or you’re just beginning to explore your options, count on the leading Menomonee Falls building supply experts at Lakeland Building Supply. 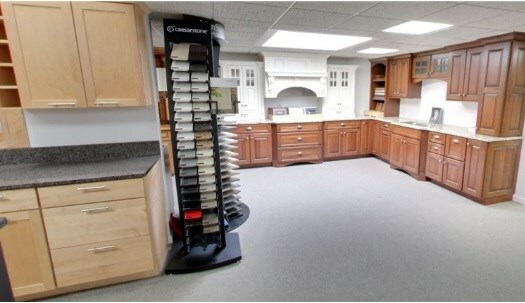 Visit our showroom for more information regarding our products, or request your free, no-obligation estimate by completing the online form at the top of this page.